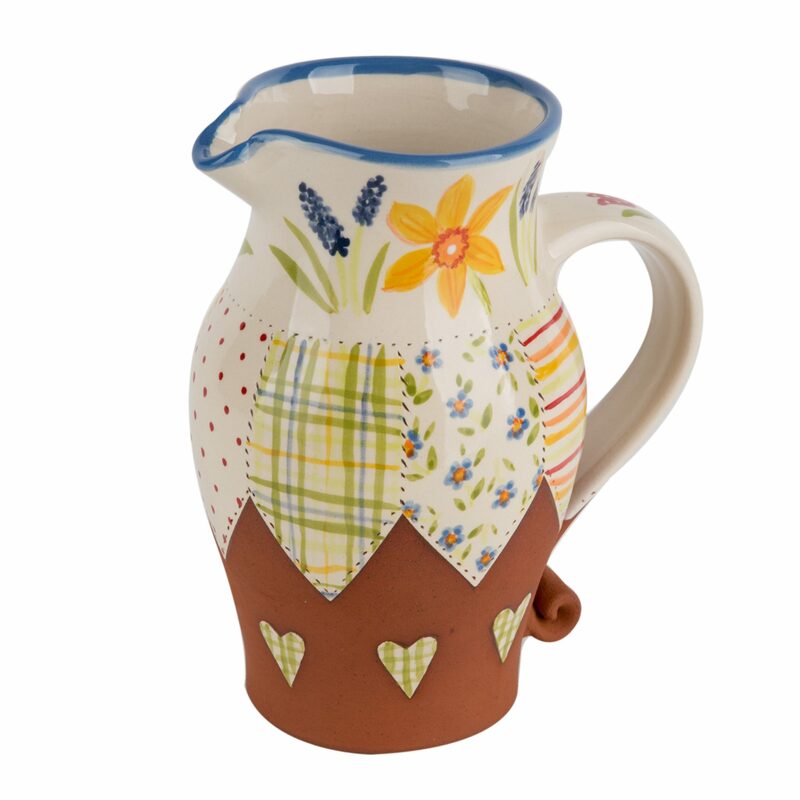 Patchwork style jug with floral Daffodil and Grape Hyacinth design. 6.5″ high. Suitable for liquids and flowers.